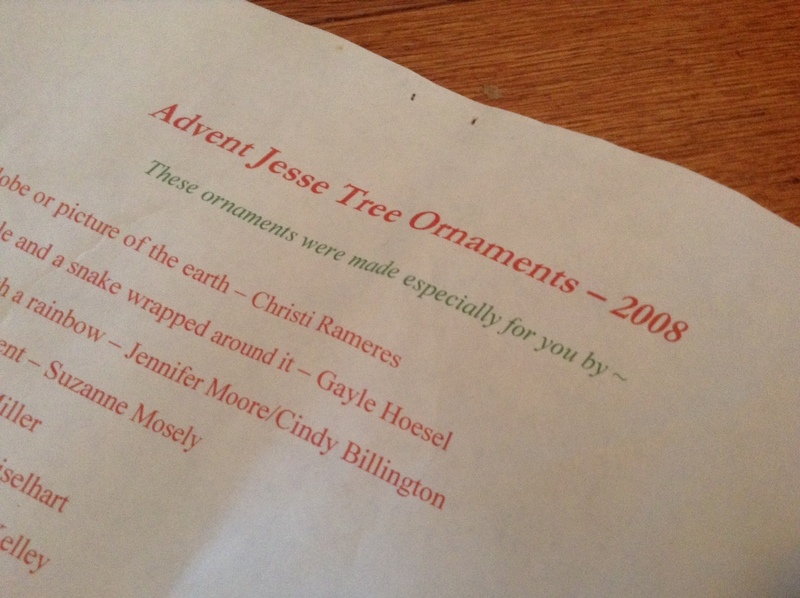 If you are wanting to coordinate an Ornament Swap for the Advent Jesse Tree but don’t know where to start, have no fear! I wrote a post giving you detailed instructions about how to plan one! Days 1-5–My personal favorite from this batch–the snake painted on the apple. It’s easy to find apple ornaments and paint a snake on it! Now, I could even do that 25 times! 🙂 I LOVE this globe for day 1; it was above my craft skills (the continents are painted accurately on the globe!). However, I am thankful that someone with mad-craft-skills made it. Awesomeness, that’s what it is. Days 6-10–A few of these are super easy for the craft-challenged folks (like myself). The ladder is made out of popsicle sticks painted brown. The 10 commandments were made on construction paper and laminated. 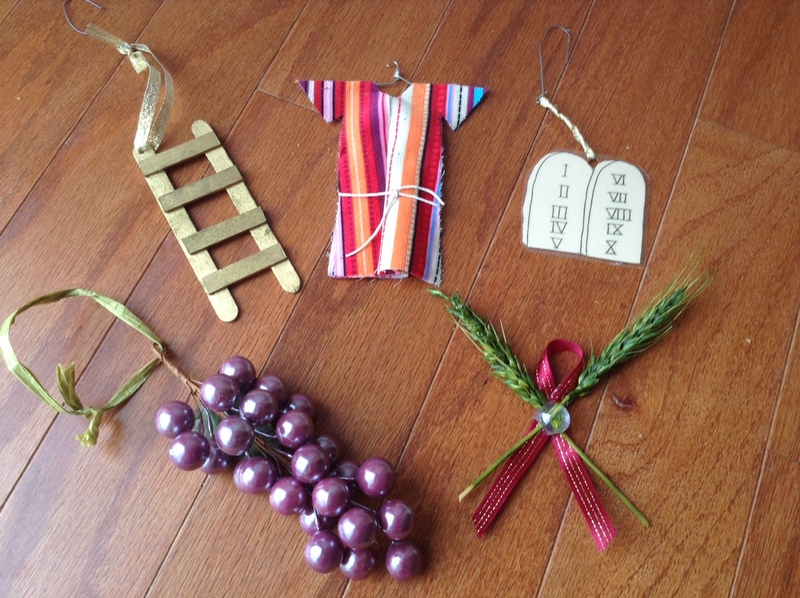 The grapes were purchased as-is with a loop of raffia added for “hanging” purposes. The sheaf of wheat is hot glued in an “x” shape to a loop of ribbon. 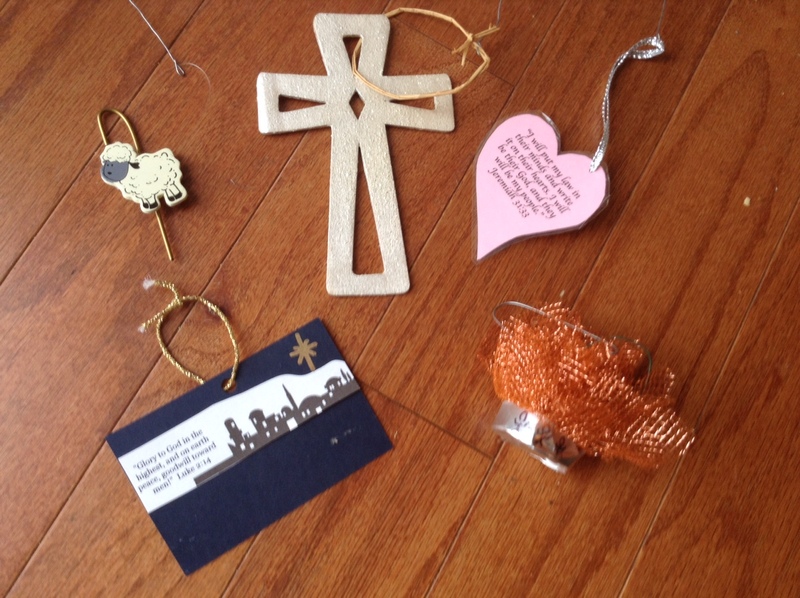 Days 16-20–These are some other marvelous ornaments that take little effort. The cross was purchased at a craft store, painted, and viola! The “heart with writing on it” is made on construction paper and laminated. The scene of Bethlehem was printed at home, glued to a navy background with a gold star drawn in the sky. The coolest part of the scene has been lost. 😦 The lower half of the original ornament had a strip of sandpaper cut to fit below the city scene. It made it look appropriately desert-ish. The last one is my personal favorite! It’s the story of Shadrach, Meshach and Abednego in the fiery furnace. My friend used a tea light candle, removed the candle and hot glued orange mesh inside the empty tea light shell. It’s hard to see in the picture, but she drew stick men, Shadrach, Meshach, Abednego, and the angel, on the outside of the tea light. Clever and oh-so-cute! 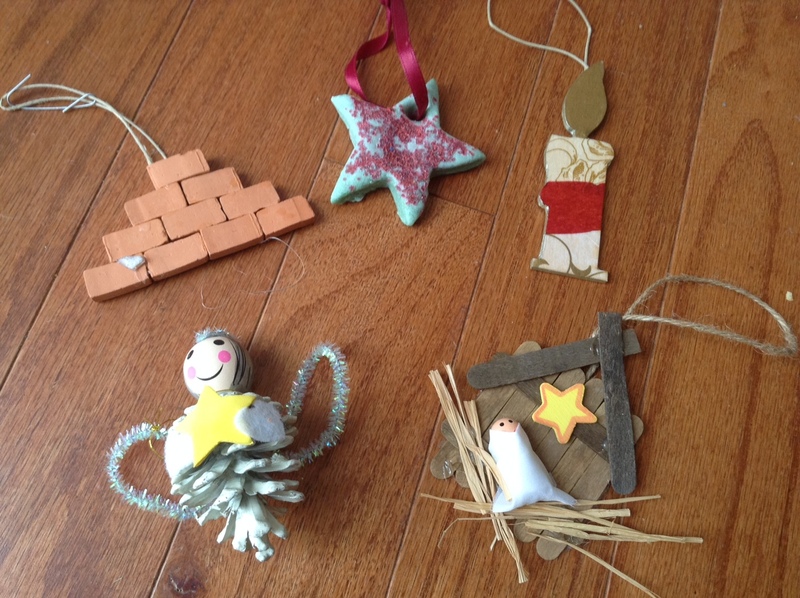 Days 21-25–I made the star–a salt dough ornament (SOOOOO easy! Remember, I’m craft-challenged). My friend made the CUTE pine-cone angel from a packet. I remember her commenting that it was 1)expensive and 2)difficult to make. She had to buy 25 angel ornament kits, and they were time consuming. Keep that in mind as you select your ornament. You will make 25 of these, so think through that as you decide from the myriad of options that you’ll find for, say, an angel ornament. 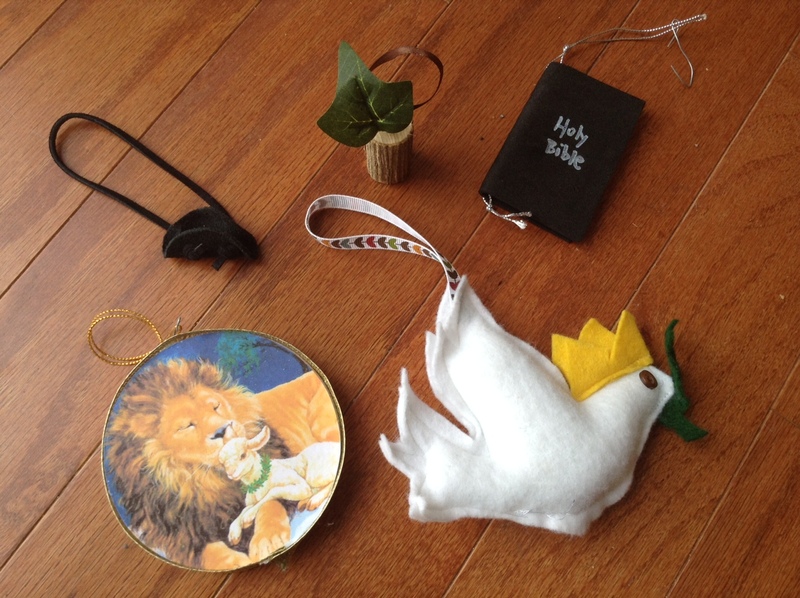 A list of participants–One of my favorite moments each year is unpacking our ornaments to gear up for our 25 days of Advent. I anticipate the unpacking because I unearth this piece of paper shown above. 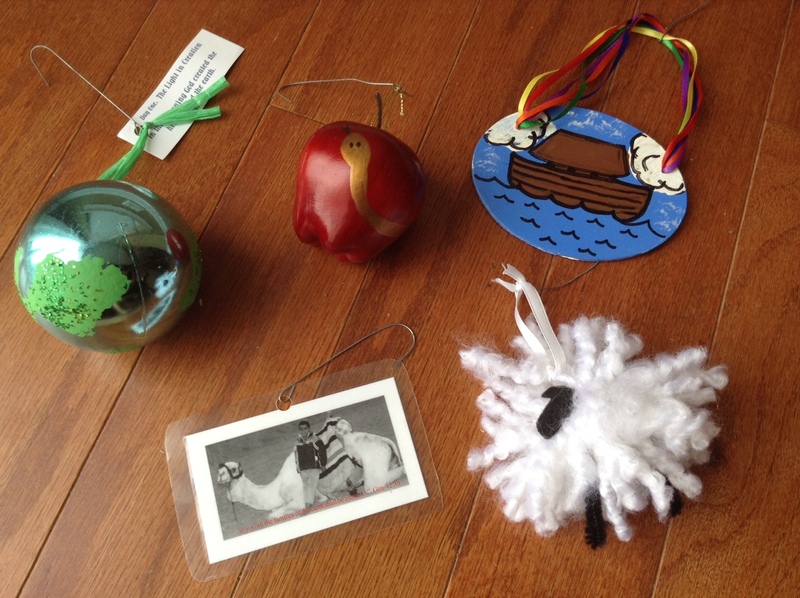 When I participated in the Ornament Swap 5 years ago, the swap coordinator included a list of the ornaments and their ornament makers. I knew these wonderful women from our sending church, which sent us out to plant a church 3 years ago this month. Seeing their names and remembering their faces is one of the highlight’s of my year. 🙂 If you are coordinating your Ornament Swap, I would encourage you to make a list like this, as well, for your swap participants. Come back and let me know your your Ornament Swap goes!